Heads up this article contains affiliate links! We are a participant in the Amazon Services LLC Associates Program, an affiliate advertising program designed to provide a means for us to earn fees by linking to Amazon.com and affiliated sites. Teething. 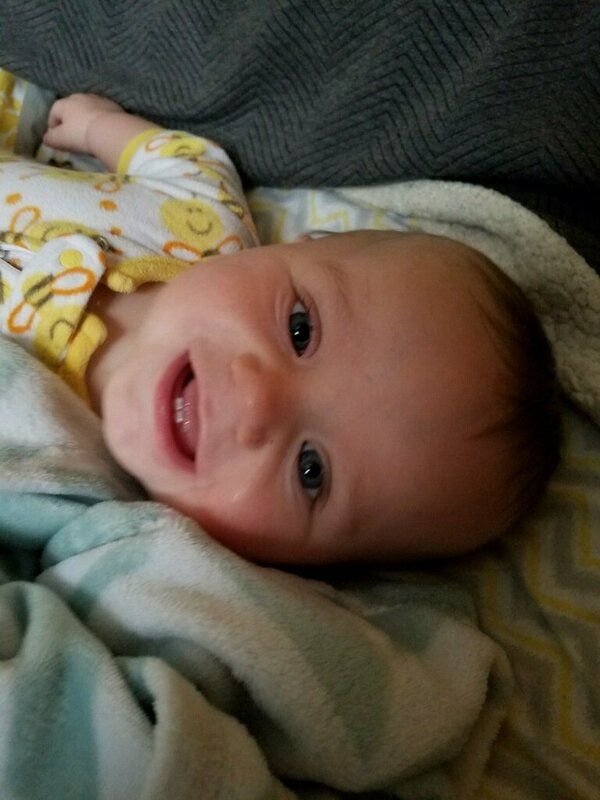 I didn’t really think about the fact that our little dude would have to grow all of his teeth once he was born, and boy has it been interesting. You can probably remember how painful your wisdom teeth came in, now multiply that by however many teeth baby get (it’s 20), and add that you can’t articulate pain, and when you try the people trying to understand you won’t get it right away. That’s the life of a teething infant and it’s for lack of a better word, hell. Now don’t get me wrong my baby is luckily a great dude, but here are my top 5 tricks for days when he’s not so great. Our big boy with his two teeth. We use the mesh teethers from munchkin, you can find them here, and they’re a life saver! You can essentially put any sliced produce in for your baby to mash with their mouths, the mesh allows it to puree through the little holes for baby lead consumption. Ezra loves green beans so I freeze a few and stick them in his teether when he gets extra fussy to soothe the swollen gums. Easy to execute and fool proof, we freeze a face clothe and let him go to town, again soothing the gums and giving him something to chew on at the same time. 3. Cuddles at Nap Time. This one is time dependent, but lately the only way our little guy will sleep if he’s extra fussy is by falling asleep on his side, usually either in my arms or with an extra blanket nearby. Sometimes the best thing for pain is a little extra cuddles before bed, and who am I to say no? This one isn’t necessarily product specific, but Ezra has a stuffed elephant rattle with hard plastic feet that he loves to chew on! Having a toy that is both hard and soft is great because it allows for a switching up of surfaces to chew on without the hassle of switching objects! Under the guidance of our pediatrician, on the worst days at bedtime we’ll give a dose of infant Tylenol to help ease the pain. We try to avoid it, but some days he’s just inconsolable and it’s the only thing that helps. You can find an interactive dose chart for infant Tylenol here, or a printable version here. As a new mom I’m sure there are a whole slew of other helpful tips and tricks out there, but the ones I’ve listed are the ones that work best for me. What other teething hacks are out there that work for you? Let me know in the comments below! Again this article contains affiliate links, as a mom and blogger I would never link a product I haven’t personally used and loved. Even for the grandparents that help out loving their little ones. Always a thoughtful and interesting read, thank you Kyla.